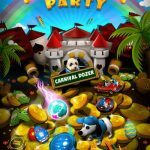 Soda Dozer: Coin Pusher is new mobile title that slots into one of the more popular genres of mobile games out there – coin dozer games. 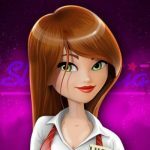 The game takes you to a virtual soda factory, where beverages and bubbles are the two things you make, while killing time in between all of that by playing in the built-in casino. 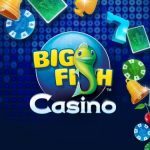 That built-in casino comes with a coin dozer where you can earn free gold, and you can also take part in Spin the Fortune Wheel, 777 Jackpot Party Slot, and other mini-games. In other words, you’ve got time-killers in the game, and a time-killer of a game in its own right. Mindstorm Studio bills it’s new title as the most addictive virtual casino series ever, one that can hook you for hours. This game may be addictive, but there wouldn’t be much sense playing it if you didn’t know the things you can do to win more coins and complete more quests. 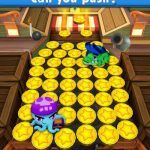 After all, it isn’t as easy as “you’ve played one coin dozer game, you’ve played them all.” So with that said, we shall now be bringing you some pretty cool Soda Dozer: Coin Pusher tips, tricks and cheats that can make this a more productive time-killer for you. The game allows you to place down a maximum of five coins at a time before they begin to recharge, and you’ll be allowed to place them down or play them any way you wish. We would recommend playing the coins side by side, making sure they are placed down as evenly as possible. That minimizes the overlap between coins, so pay attention to how evenly you’re placing those coins, and not just that they are placed side-by-side. At some point, you will run out of coins, and you may be wondering how you can keep on playing when all your coins are gone. Of course, you can wait until they regenerate, but that can be quite a chore, just as it is when you have to wait for energy to regenerate in any other game. Just tap on the coin button and tap on the video button that appears so you can watch an advertisement video. These ads last about 20 to 30 seconds in most cases, and you’ll earn coins as a reward after you’re done watching the clips. Coins are also available as in-app purchases for real money, though this is something you’ll want to avoid as much as possible. Ad videos do more than just regenerate your coins without having to wait. They can also give you free spins at the wheel. This is the mini-game we were telling you about, as spins allow you to win free prizes; these may include, but not be limited to coins, cash, gold, and gems. These are the game’s various forms of currency, and you can win them organically as you play the game, though there’s nothing bad about earning something for free. In the upgrade menu, you can view the different ways for you to spend the prizes you win, but you’ll first want to pay attention to upgrading your coin take. You can get coins right off the bat if you sell your prizes in this menu, but may also want to save those prizes, in order for you to have enough to buy an upgrade that will reward you with a permanent prize. The prize may differ, and they may also vary in efficacy, so don’t be afraid to head to the upgrade menu from time to time and check what your options are. 5. When Should You Use Your Shake Prizes? Your shake prizes can be used for big coin increases, so you should also hold on to them until the time is right for you to use them. This is also because they take quite a while before you can get them back, and because the coin gains will require that you have a specific collection of prizes. In lieu of prize collections, you’ll have to pay gold. This wraps up our quick guide for Mindstorm Studios’ new mobile game, Soda Dozer: Coin Pusher. If you are an advanced player and know more tips and tricks for the game, feel free to share them with us!